INDIANA (WITI) -- It was a dramatic arrest and rescue as police cornered a Milwaukee man who abducted his two-year-old daughter and took her across state lines. 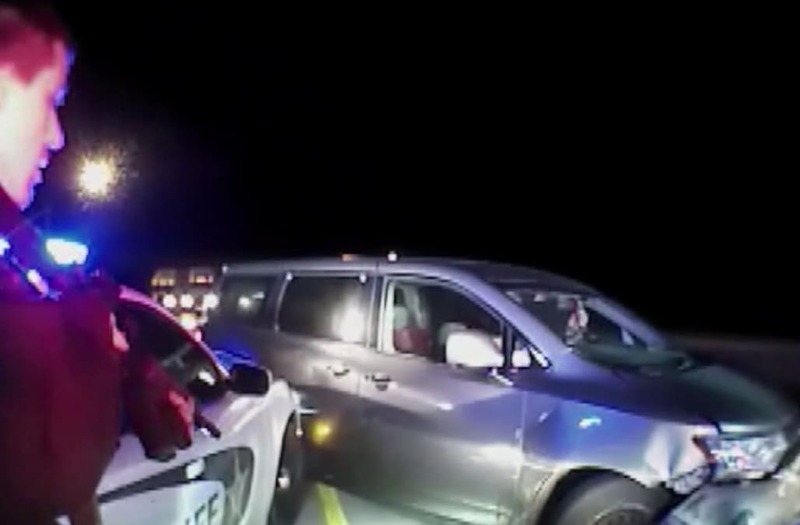 Screams, cries and pleas for help can be heard in the body camera video from a police officer in Indiana. The mother of the little girl, who is also Kenneth Brown's ex, said she was terrified for her baby girl while he was on the run. "Get out of the car. We don't want to hurt you man. Just put the knife down. It's someone's kid," police told Brown in the video. He was in a stolen minivan, pinned against a guardrail on Interstate 65 in Indiana. He clutched his daughter, Kendra. "Don't hurt her. Don't do it," police said. "He's got the knife literally against her (expletive) neck." It was a dramatic arrest and rescue as police cornered a Milwaukee man who abducted his two-year-old daughter and took her across state lines. The video shows police with guns drawn -- surrounding the vehicle in an attempt to get the child to safety. "He's trying to smother the kid right now I think. We can get this solved. You just need to stop what you're doing right now," police said. After he refused to obey their commands, police broke the rearview window. Brown handed over the girl before cutting himself. "He's cutting his throat. He's cutting his throat," police said. Police used a Taser on him -- finally calming him down. "Get out of the truck now. We are here to help you," police said. Days after the chaotic ordeal, Kendra was back home on Monday, October 30th -- thriving -- recovering from a few scratches, but seemingly OK.
"Happy that they got her home and she's OK and she is still just as happy," Kendra's mother said. The toddler's mother said she's working to get past the terrifying incident. "It was just scary," she said. Sadly, this isn't the first incident in which the toddler has been subjected to involving the police. In August, Brown refused to hand her over during an arrest for a domestic situation. He was ordered to have no contact with Kendra's mother or her kids. "He's in custody. He's going to be there for a while. Hopefully that sticks," she said. Kendra's mother said she's unsure why Brown took the girl, and where he was headed with her. He's facing several charges in Indiana, including intimidation, using a deadly weapon and criminal confinement. He's due in court on November 1st, which could delay extradition to Wisconsin.